For all its strengths, Supergirl isn’t usually a show that asks big philosophical questions. So partway through tonight’s episode, when Maggie and Kara launched into a conversation about the ways in which cult leaders are able to hide behind freedom of speech and freedom of religion to espouse dangerous values, I knew we were in for something special. “The Faithful” is unlike any episode Supergirl has done before. Though the series has never been shy about drawing real-world parallels, it usually does so in a pretty simplistic, heavy-handed way. “The Faithful,” however, uses Supergirl’s genre lens to grapple with the complexities of real-world issues with at least some degree of nuance. It’s an ambitious episode but in an entirely different way than last week’s Mars-set adventure, which also dealt with faith as a core theme. That episode was ambitious in scope, this one is ambitious in depth. And though “The Faithful” doesn’t quite have the follow-through it needs to fully land, it’s exciting to watch Supergirl continue to expand the kinds of stories it wants to tell this season. The prologue does a great job of putting us inside Coville’s head. That plane crash sequence is still a high-water mark for Supergirl, particularly because of the way it captures Kara’s awe at her own abilities. And we see that awe through Coville’s eyes as he watches Kara stand triumphantly on the wing of the plane, then take off into the sky following her first-ever public superhero rescue. It’s completely understandable that something like that would change Coville’s life. So he does what real-world religious leaders have always done: He takes an existing faith (in this case, Krypton’s worship of the sun god Rao, which he learns about via a stray Kryptonian Betahedron probe) and adapts it for a new context. He finds a new religious idol in Kara and creates a story that positions her alongside Rao as his equal. The problem is, Coville isn’t just asking his followers to look up to Kara, he’s also asking them to put their faith in her above their own sense of self-preservation. One eager young devotee even sets a building on fire with himself still in it, all in hopes of experiencing first hand what it’s like to be saved by Supergirl. The Children Of Rao’s faith has become not a life vest, but a crutch: They can’t just believe in Supergirl’s inherent goodness; they feel compelled to prove that her abilities are limitless. They’re a cult, not a religion, as Kara is quick to point out. And that’s how Coville and his followers wind up placing a bomb underneath a National City hockey game, confident in the fact that Supergirl will find a way to save everyone inside. It’s here where the episode starts to fall apart a bit. For one thing, the Children Of Rao don’t have a particularly logical plan. Almost everyone in National City has already been saved by Supergirl in one way or another (remember Myriad?) so I’m not sure why this particular rescue would bring them into the fold in a way the others haven’t. I’m also not sure how they expect Supergirl to stop the underground explosion in a way that also lets the stadium full of people know they’ve been saved from an underground explosion. (Did they expect her to fly the bomb out from underneath the ice in dramatic fashion?) Of course, given that they’re an unhinged cult, perhaps those inconsistencies can be written off as intentional storytelling choices. My bigger problem is the episode’s resolution: The moment in which Kara cuts her hand to prove she bleeds is supposed to be a massive emotional turning point, but it just doesn’t land with enough weight. The Children Of Rao are disabused of their idol far too easily (is not bleeding a requisite for being a god?) and the episode devolves into a generic “we have to stop the bomb” action movie ending that pales in comparison to its earlier, more interesting philosophical themes. But around the margins of that so-so central arc, there are some really fantastic moments in this episode. Kara’s breathless, “I remember all of them,” as she realizes she’s stumbled into a room full of people she’s saved is a perfect distillation of the Supergirl ethos, beautifully delivered by Melissa Benoist. And the suddenness with which Coville sees through Kara’s mild-mannered disguise is a genuinely shocking moment in a series that generally tends to be a few steps behind its audience. That moment also speaks to what makes Coville such a unique villain for Supergirl: He’s not an alien or a metahuman or even a corporate honcho with access to terrifying tech. He’s just a man with an unwavering belief that imbues him with a different kind of intangible power. Though he’s unquestionably a villain (Supergirl is pretty unequivocal about the fact that trying to blow people up to get them to join your cult is always, always bad), there’s also a humanity and empathy to Coville. He’s motivated not by a hatred for Supergirl, but by a deep, twisted love for her. And even behind bars, his sole focus is on giving himself over to her in whatever way he thinks Rao demands of him. It’s a fascinating dynamic and one I hope Supergirl returns to again this season. When it comes down to it, what I’m responding to most is that the idea of people developing a religion around a superhero is just an inherently fascinating one. Though Supergirl doesn’t necessarily draw any big conclusions tonight (apart from the fact that, again, blowing people up to get them to join your cult is always bad), it does raise some interesting questions: Where’s the line between faith and self-preservation? What’s the difference between a religion and a cult? And does a god have to see themselves as a god to be one? 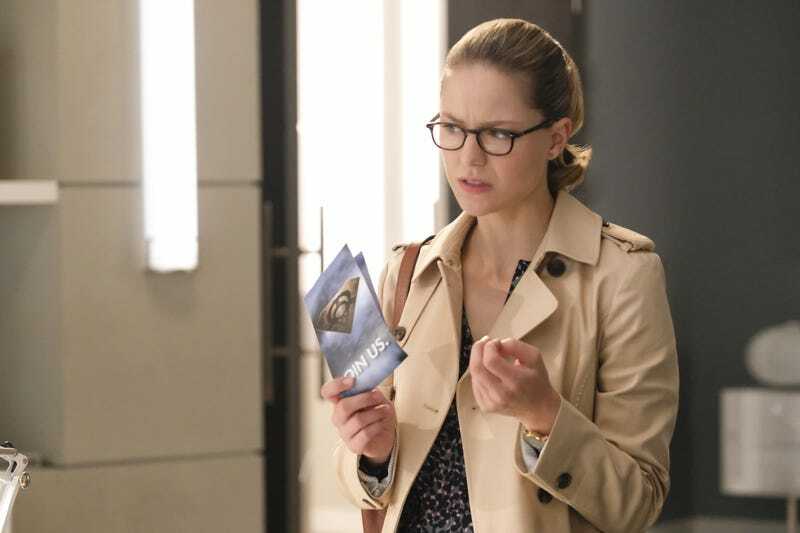 Kara sees herself as a normal Kryptonian woman who’s been granted special abilities through a quirk of her location. But the difference between being a person with powers and being a god is, well, rather slim, as James points out in a lovely scene on the CatCo Balcony Of Deep Thoughts, which manages to recapture a lot of what worked about James in the show’s first season. Crucially, “The Faithful” manages to ask all those questions while still making it clear that though it can be used for corrupt purposes, faith itself isn’t inherently good or bad. Kara, James, and M’yrnn use their religions as motivations to help people, just as Coville uses his to put people in danger. Perhaps I’m giving Supergirl too much credit for what’s ultimately just a tiny bit of nuance. But in a real world that seems to be lacking any at the moment, it’s a welcome change of pace. Lena continues to defy “icy corporate women” stereotypes in the best way. Ruby’s performance of “Imagination” forces Alex to face the fact that she does actually want to have kids one day, which once again gives Chyler Leigh the chance to knock it out of the park acting-wise. The show hasn’t forgotten about the Guardian storyline (James asks Winn if they should fight crime tonight), but it also isn’t in a hurry to get him back into the suit either (turns out there is no crime tonight). 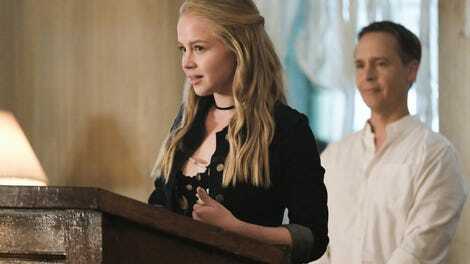 I’m curious what real-world religions/cults crossed your mind while watching tonight’s episode. I thought first of Christian Science and then of Scientology.